When you approach prepping as a lifestyle choice, as “Life Assurance,” you often get to test your self-reliance skills and stockpile. One of the greatest preparedness assets should be what is beneath your feet…your home. 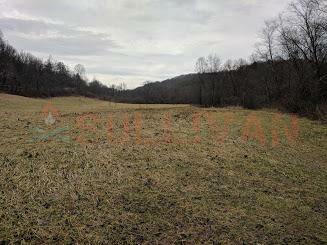 It took us close to three years to find the perfect land for our survival homesteading retreat. Once the search was over, the new beginning – and the real work, began. By work, I do not just mean all of the blood and sweat we spilled turning a fixer upper 56-acre farm into a usable home (but man, that was indeed a LOT of work) but the most essential and fulfilling part of the project – turning the 56 acres into a fully-functional survival retreat. The price was right, the location was superb, and the land attributes were outstanding. But even with all of those preparedness blessings, it takes a massive amount of time to create and maintain a sustainable and defensible homesteading survival retreat. Our survival retreat has two natural and two man-made water sources, is remote, looks like no one on the land from the low-traffic 2-land road, the house is situated a little over a ½ mile from the uphill dirt sole access driveway entrance, multiple barns, fenced (freshly repaired) entirely, is partially wooded, producing nut and fruit trees and bushes. 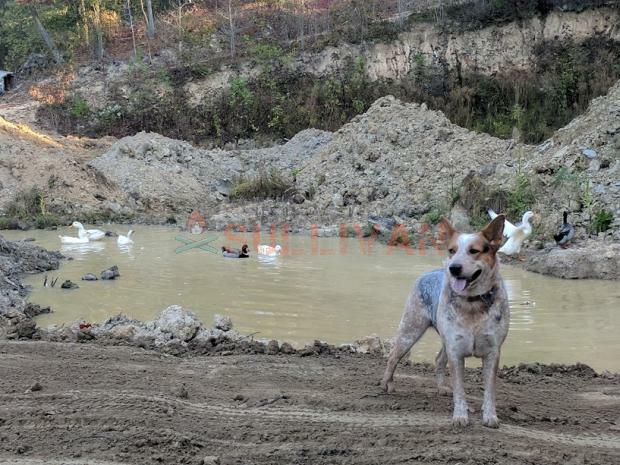 Photo above: our man-made pond was still a work in progress when this photo was taken. We used an old backhoe that we worked in (along with a host of other old but still functional farm equipment) when purchasing the property. This area was perfect for a pond and due to the run-off from the hillside ridge and rocky soil beneath, wasn’t a lot of good for anything else. The area has also is used as a home shooting range. With a set up like that, how could you go wrong, right?! Well, we didn’t exactly go wrong, but we sure could have gone a bit more right. The good dirt is in two places on our homesteading survival retreat, in the hay pastures that produce well and provide for our livestock over the winter (and can be harvested by us without aid of machine, when it comes to that) and in a 2-acre section by an old barn area that also once served as a hog pen, near the entrance to the property. Growing your groceries in full view of even a remote 2-lane road is NOT a good idea. While cultivating lower quality soil on one of the other three tiers of the property, along with growing in containers, we went ahead and planted our garden in the good dirt after moving onto the property. Neglecting to put in a garden because the spot was not covert enough to suit our OPSEC goals would have left us with far less food to preserve come fall. Enhancing the quality of soil is not a difficult task, it is just a chore that involves following a finite set of rules over time, time being the key component to the equation. When the creek floods it is not uncommon to find bicycles, coolers, and other various forms of junk not just floating down it, but winding up in our field. We knew the creek would jump its banks during excessive rain or snow, but we underestimated the threat the high waters could pose to our garden area. Photo above: this photo of our creek was taken when it was only mildly misbehaving. There is a large rock formation you drive over to cross it. We have no desire for a bridge, which drives our non-prepping loved ones nuts. If you look up the hill beyond the creek you can tell how high the water flowed up when it jumped its banks. Not until this winter from hell, have the water gotten close to our garden plot. Had the growing area flood now, before the SHTF, we would not starve. Sure, we would have wasted a whole lot of time and money putting the garden in and lose seeds we would have preserved for the following year, but we would not have gone hungry. But, if the flood of ’18 happened post-SHTF, it would have been devastating and quite likely, life threatening. Simply because an area hasn’t flooded in a decade, three decades, or even 100 years, does not mean it won’t flood in the next 48 hours. How hard that lesson is to learn depends on whether or not you have time to correct your lapse in planning before the end of the world as we know it, happens. The destruction of our growing food supply would have caused us to dig very deeply into our stockpile of preserved and long-term storage food, eaten more of our livestock than anticipated, fished the pond dry, and put too much pressure on the wild game in our woods. The treeline on the left is along the bank of the creek. 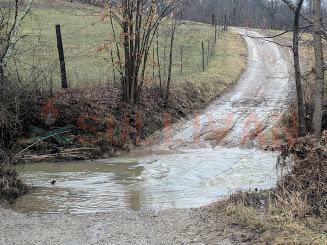 If you look deeply into the photo you will notice the rim of exposed dirt – that is how far the flood waters reached during the most recent bout with rain. This is the lower pasture side of the bottom tier of the property. If the water had gotten this far up the other side of the bottom tier, the half of the garden, while dormant this time of the year, would have been under water. This flooding we experienced this year was far more than the typical spring high water. It came after two straight months of heavy snow, making the ground too saturated to hold it all, even in places that routinely go untouched by the heavy spring rains. It isn’t even officially spring yet, so a lot more rain will likely be on the way. As I have said before, the best way to test your preps is to be forced to use them. It is the only way to find any holes in your well laid plans. We should have anticipated a short-term flooding disaster could impact our temporary garden and vastly enhanced our container gardening plan. We have a greenhouse and ample room to grow in containers while cultivating the soil in our permanent garden spot. The only thing we apparently had in relatively short supply, was insight. We could have and should have been growing our groceries in far more containers than we were, until we had a garden growing in our covert and far from the water, spot. While looking at the big picture and making long-range plans, we neglected to think of short-term natural disasters that could destroy our food supply. 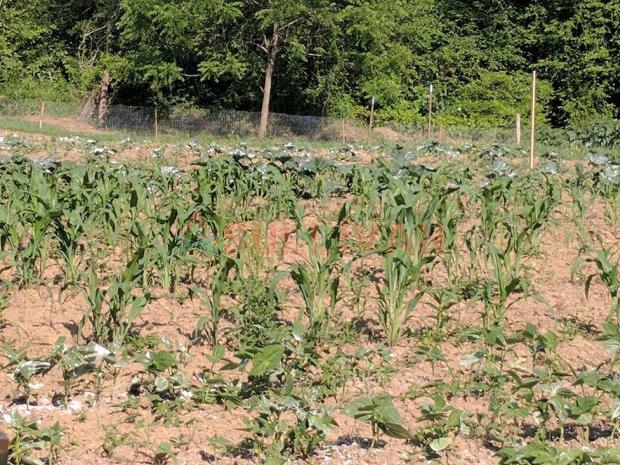 If the water had gone just a little further and the apocalypse had already occurred, our grand plans for a perfect garden and too few containers growing crops, would not have sustained us until the next growing season. We had a solid short term plan to grow our own groceries while working diligently to perfect our long-range plan. But Mother Nature, as she so often does, saw fit to alter the general order of things. The food supply is not finite today. But it could be tomorrow… and the creek is rising once again. Prep accordingly, or your stop gap short-term plan could become your only plan. How difficult would it be to build a berm along the creek to offset the flood water from your garden? That is a good question. Unfortunately, because the garden in the bottom pasture is such a low-lying area and surrounded by a creek on two sides – part of one side is not ours, I don’t think that would be possible. During a normal, not a winter-from-hell year, a small berm could work in the area where the creek is prone to flooding, but the ground was so saturated this winter, the creek banks crumbled badly and I doubt the extra weight of a berm would help. I hope we do not get another winter like this for a long, long time – but we could. I won’t completely abandon the lower growing area, but it will be used as more of an auxiliary growing plot from here on out.